This hotel is conveniently located opposite the Emirates Shopping Centre on Sheikh Zayed Road in the Al Barsha district. Set in the heart of newly-developed modern Dubai, a few minutes from Dubai Internet City, Dubai Media City and the Jumeirah stretch of beach, just 20 minutes from city centre. The hotel personifies elegance and luxury within its impressive array of rooms and ski chalets with unparalleled views over the amazing indoor ski resort. Facilities include an entrance hall, currency exchange, restaurants, conference facilities, a WLAN access point, room service. 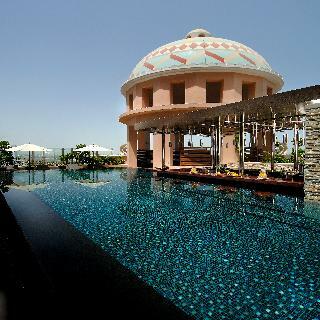 Everything Dubai has to offer is just minutes away from this charming and modern hotel. This stylish hotel is a mecca for shoppers, while business guests will appreciate the proximity to the city's major financial district. With beaches, the marina and even skiing, just a stroll away, travellers can prepare themselves for a fun-filled stay. All suites are beautifully appointed in soothing tones and can be smartly divided into bedroom and living room in case it is more convenient for guests than only having one space. Travellers will be impressed by their modern look and useful amenities. Those guests travelling by car will be able to use the hotel’s indoor parking facilities and everyone will have the opportunity of enjoying a refreshing dip at the rooftop swimming pool. This city hotel is strategically located in the Al Barsha area, less than 2 minutes away from the Mall of The Emirates and next door to most of Dubai's top attractions: such as Media City, the Dubai Fee Zone, beaches and Convention Center. Links to the public transport network are about 500 meters away. Dubai International Airport is just a 30-minute drive and is easily accessible by Dubai public transport network or by taxi. All rooms features Wi-Fi, flat-screen TVs with cable channels, Security safety box, mini fridges, and a coffee maker. Suites add living rooms and dining areas. From the comfort of your room with 24-hour room service, guest can order a quick energy boost. 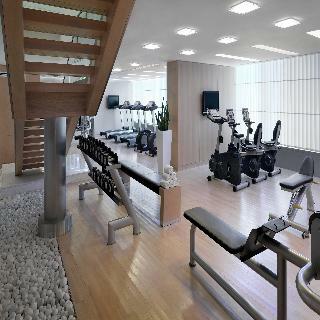 Guest will enjoy an outdoor pool, fitness center and sauna. Valet or self-parking is available. If you are not driving you can access a shuttle bus that can take you to the airport. Shuttle bus is available 24 hrs. Along with the 24-hour front desk staff to help to secure personal belongings, concierge service or to store luggage. Guest can start each morning with buffet breakfast, available for a fee; other amenities include free Wi-Fi in public areas, a business center and free newspapers. “The modern & contemporary Golden Tulip Al Barsha Hotel, Dubai is a Premium 4 Star downtown hotel centrally located on Al Barsha 1, next to Sharaf DG Metro Station and is in close vicinity to the Sheikh Zayed Road, JLT and Al Quoz. The hotel is a mere 25-30 Minutes' drive from the Dubai World Trade Centre / Dubai International Convention & Exhibition Centre”.“Golden Tulip” is the world's largest chain of Mid-Scale full service hotels with over 100 hotels in 34 countries and is a prominent mid-scale brand in Louvre Hotels. FRESH an All Day Dining Restaurant & Sky Korean Restaurant. 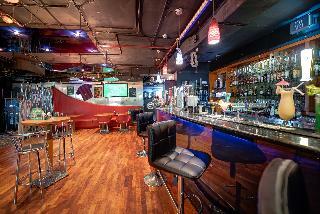 The Locker Room BAR offers the perfect rendezvous for socializing. The hotel's convenient location & value added propositions appeal to the discerning needs of Business & leisure Travelers to Dubai - seeking a luxurious & relaxing retreat at an affordable tag. Location:- The hotel is approx. 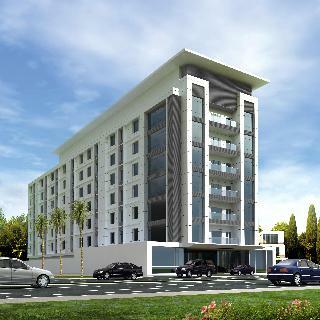 25-30 minute drive from the Dubai International Airport. Most of the city's key business districts and shopping malls / centers are within easy reach of the hotel.Room information:-The hotel's inventory comprises of 125 Contemporary Rooms & Suites with stylish features and luxurious space, offering complimentary tea / coffee making facilities, fully stocked mini bar, multi channel satellite flat screen LCD television, In-room safe, high speed internet access and IDD telephone lines.Additional Information:-The hotel features the Windsor 1 & 2 Room (your perfect venue for small to medium scale Residential Conferences / Incentive groups / Product Launches / Seminars / Workshops / Training Programs etc) besides a Business Centre; an all Day Dining Restaurant and a sport bar. The bedrooms at Media One have a dynamic sense of style and are a world away from being ordinary. They boast amazing views of the Arabian Gulf and the iconic Palm Jumeirah, or, on the other side, overlooking the Emirates Golf Club. All the facilities are synonymous with an upscale hotel with vast amounts of hanging space, a selection of gadgets and internet access plus all the regular amenities for our guests. Our hotel accommodation in Dubai also includes flexible working desk, in-room bar, a room safe, 24-hour in-room dining, 'up to you' tea and coffee set plus a hair dryer to look your best at all times. Every guestroom has a modern take on chic living so you can stretch out and escape into a little stylish solitude. Media One's collection of culinary choices offers a vibrant and eclectic mix of outlets. Enjoy our dining experiences at caféM for a simple coffee or get-together, The Z:ONE Bar and Lounge for light meals and evening drinks, the garden on 8 for wholesome and hearty food in an urban garden on level 8 and The MED, our signature Mediterranean restaurant. We promise to satisfy your cravings! 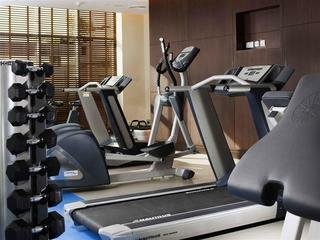 Guest facilities include an outdoor pool and a fully-equipped gym. 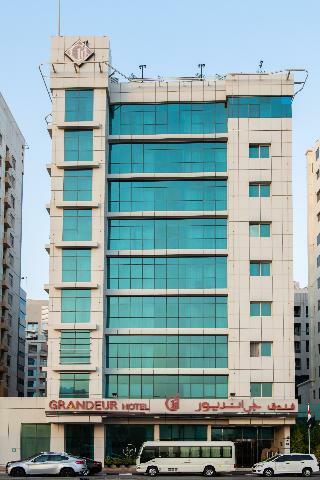 This hotel is located in the business area and entertainment district of Dubai. Its main feature is the respect on the environment, so the hotel try to offer the best service to its customers causing less damage to the environment. It has 186 spacious and comfortable rooms very colorful. Among the services offered we can find air conditioning, safe, private bathroom, room service available 24 hours and minibar, among others. There are also rooms for people with disabilities. The hotel has 24-hour reception. And if you want to relax, visit the spa and enjoy one of their various body treatments. 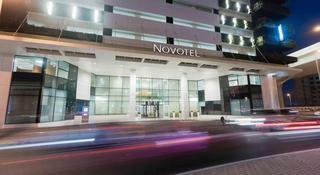 The Novotel Dubai Al Barsha is a 4-star hotel located in the city centre with convenient access to Dubai's major business hubs and leisure attractions. Our function rooms will cater for all your conference needs. After a day of business or visiting the sights, enjoy a relaxing dip in our beautiful outdoor heated pool at Novotel.